VERY RARE! Live in this lovely large house with a separate guest house â€“ rent guest house out for $1K+, or provide room for elderly mom, or run home business, or convert space into a huge master suite. Enjoy a cup of coffee while looking out at the wooded Â½ acre yard from your sunroom. The main house has 3 BR, 3 BA, 2700 sqft. The separate guest house is 750sqft with 2 BR, 1 BA, kitchen, laundry. New roof and appliances. Beautiful refinished wood floors. Act now to get 2 houses for the price of 1! Directions:North on 751 from I-40, which turns into Hope Valley Road. Turn right onto Brighton. Turn right onto Manford. Property will be on the right. SchoolsClick map icons below to view information for schools near 3510 Manford Drive Durham, NC 27707. Home for sale at 3510 Manford Drive Durham, NC 27707. 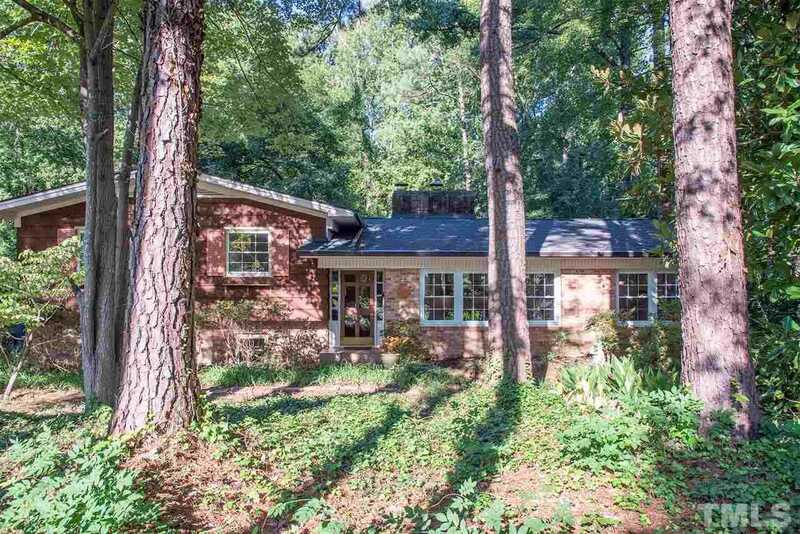 Description: The property at 3510 Manford Drive Durham, NC 27707 in the Hope Valley Forest subdivision with the MLS# 2214449 is currently listed for $380,000 and has been on the market for 65 days. You are viewing the Triangle MLS listing details of the home for sale at 3510 Manford Drive Durham, NC 27707, which features 5 bedrooms and 4 bathrooms, and 3480 sq.ft. of living area.